The Hawfinch is a shy species, and therefore difficult to observe and study. It spends most of the day on top of high branches, above all during breeding season. 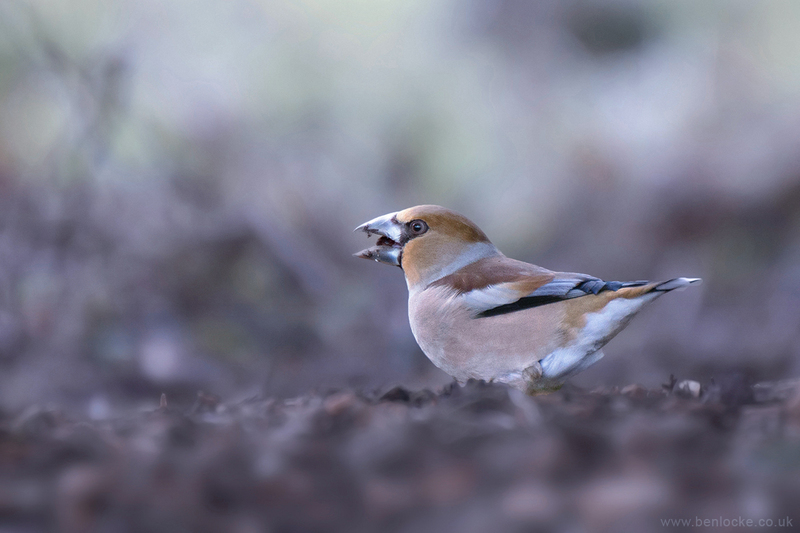 During the course of the hawfinch's life it can only be seen on the ground while looking for seeds or drinking water, always near trees. While drinking and eating it is fairly aggressive and dominant, towards both its same species or different ones, even bigger birds.